Born: 14 March 1867, Glasgow, Scotland, United Kingdom. Died: 6 April 1951, Cape Town, South Africa. Lawrence Crawford attended Glasgow High School and continued his studies at the University of Glasgow, where one of his teachers was Sir Thomas Muir*. He had a distinguished undergraduate career, winning three bursaries, and was awarded the degree Bachelor of Science (BSc) in 1886. Continuing his studies at King's College, University of Cambridge, he won two prizes and graduated as Bachelor of Arts (BA) with honours in mathematics in 1891, and Master of Arts (MA) in 1894. For the next five years he lectured in mathematics at Mason College, Birmingham. In 1899 he was awarded the degree Doctor of Science (DSc) by the University of Glasgow. In December 1898 Crawford was appointed professor of mathematics at the South African College, Cape Town, succeeding F. Guthrie*. He took up his post early in 1899 and still held it when the college became the University of Cape Town in 1918, and thereafter until his retirement in 1938. During these 40 years he played a leading role in the development of the college and university, serving as secretary to the college senate from 1902 until the first registrar was appointed in 1906, vice-chairman of senate from 1907 to 1911, a member of the council of the University of Cape Town from 1918 to his death in 1951, first dean of the university's Faculty of Science (1918-1931), and acting principal in 1931. He was also a member of the council of the Universit of the Cape of Good Hope from 1916 to 1918, when it became the University of South Africa. As a cheerful and remarkably even-tempered person with an exceptional memory, he was at his best as chairman of comittees. Crawford published about 20 mathematical papers during his long academic career. His early papers included "On the use of the hyperbolic Sine and Cosine..." (1895), "The trisection of a given angle" (1898) and "Evaluation of a determinant" (1900), all three in the Proceedings of the Edunburgh Mathematical Society; "On the solution of Lame's equation..." (1895) and "A proof of Klein's Theorem in connection with Lame's functions" (1899) in the Quarterly Journal of Pure and Applied Mathematics; and "The tides" (1897) in the Proceedings of the Birmingham Philosophical Society. After settling in the Cape Colony he contributed papers on "A geodesic on a spheroid and an associated ellipse..." (Report of the South African Association for the Advancement of Science, 1903, pp. 106-109), "Note on the intersection of two curves, whose equations are given in polar coordinates, with an illustrative example" (Ibid, 1915, pp. 55-359), and "Maximum and minimum values of a function determined by the method of undetermined multipliers" (South African Journal of Science, 1928, Vol. 25, pp. 89-93). A later historical paper by him dealt with "The South African Literary and Scientific Institution" and was published in the Transactions of the Royal Society of South Africa (1934, Vol. 22, pp. 313-321). During his earlier years at the South African College Crawford taught not only degree students, but also candidates for the Certificate in the Theory of Land Surveying and, for a few years from 1906, students of the South African School of Forestry. In 1908 his teaching load was somewhat relieved through an arrangement whereby Professor Kent, who taught mathematics at the Diocesan College, Cape Town, gave a certain proportion of his time to the South African College. Though Crawford was a meticulous teacher he later presented an unvarying syllabus for many years and his lectures took no account of recent developments. Crawford was a Fellow of the Royal Society of Edinburgh and in 1905 became a member of the British Association for the Advancement of Science. In 1899 he joined the South African Philosophical Society and in 1908 became one of the foundation Fellows of its successor, the Royal Society of South Africa. 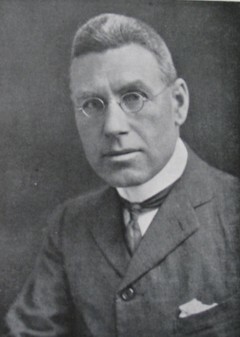 He served the latter as treasurer from 1909 to 1935 and as president from 1936 to 1941. He was a foundation member of the South African Association for the Advancement of Science in 1902 and during its first year was a member of its publication committee and secretary of the committee for Section A (which included mathematics). After many years as a member of council he served as vice-president for some years from 1910 and as president in 1915/6. He became a member of the South African Teachers' Association and for many years was an examiner in mathematics for the Joint Matriculation Board. He was also an examiner in mathematics at the BA and MA levels for the University of the Cape of Good Hope from 1905 to 1907. During the nineteen-thirties he was a member of the Astronomical Society of South Africa and contributed a paper on "Prime numbers" to its Journal (1933, Vol. 3(3), pp. 116-123). In 1903 Crawford married Annie M. Spilhaus, with whom he had three sons and two daughters. He had a great appreciation for music and in 1923 became a member of the faculty board of the newly established College of Music at the University of Cape Town, serving until his retirement in 1938. After his retirement he became a city councillor from 1940 until his death. The University of the Witwatersrand conferred an honorary Doctor of Laws (LLD) degree upon him in 1939. Cape of Good Hope. Report of the South African College, 1898, 1899. Google scholar. http://scholar.google.co.za Publications by L. Crawford. Journal of the Astronomical Society of South Africa, 1933, Vol. 3(3), paper by Crawford; 1938, Vol. 4(3), pp. 134-137: List of members. Obituary: Lawrence Crawford. Transactions of the Royal Society of South Africa, 1955, Vol. 34, pp. xiv-xv. Royal Society of South Africa. Transactions, 1908-1910, Vol. 1, and 1917, Vol. 6: Lists of Fellows and members; 1925, Vol. 12, Minutes of Proceedings; 1934, Vol. 22, paper by Crawford. South African Association for the Advancement of Science. Report, 1903, 1904, 1907, 1908, 1910, 1913, 1916, 1918. South African Journal of Science, 1928, Vol. 15, paper by Crawford. Transvaal Agricultural Journal, 1906, Vol. 4, pp. 809-810: South African School of Forestry. University of the Cape of Good Hope. Calendar, 1906/7-1908/9, 1917/8.